The December Landscape Group shoot will take place in Flamlingham, Suffolk on Sunday 16th December. 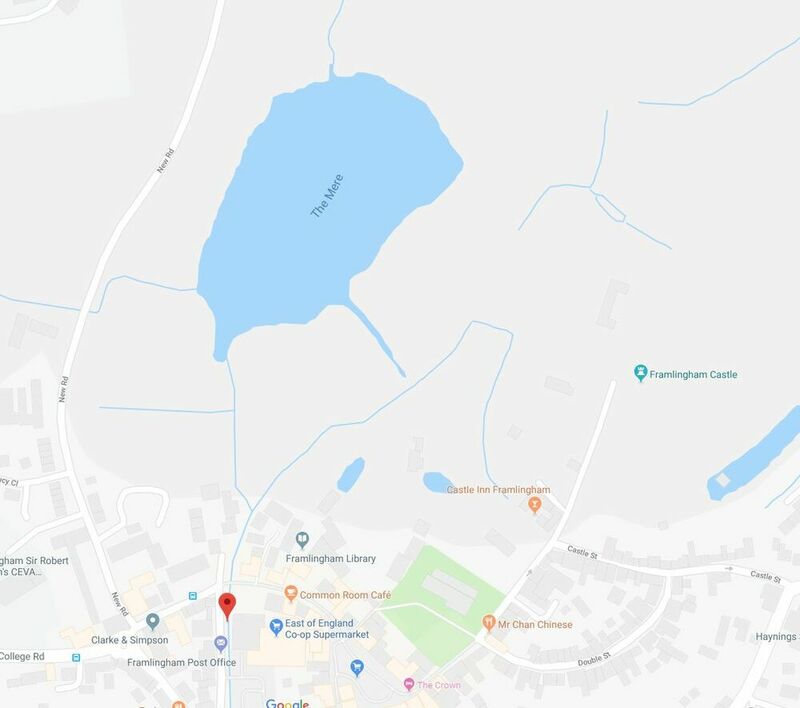 As the sun rises a little later at this time of the year we shall meet in New Road (between the College and the Mere) at 07:00 - see the map below for details. If the weather is kind there is every possibility of getting a great shot of the daybreak over the Castle before we head to the Cafe at the town end of New Road. However, it is normally very muddy in the field facing the Mere so wellingtons rather than walking boots are essential. For those who want to we could also head of the nearby Woodbridge for some shots of the Tide Mill and Estuary.